After the terrible fires of 2012, La Gomera’s amazing powers of regeneration have been at work after the winter rainfall. Now there is lush green growth and the island is returning to the walking paradise that is was before the fires. Our holiday in La Gomera is based in the beautiful Parador above the capital, with panoramic ocean views and delicious Canarian cuisine in the attractive dining room each evening. (All dinners with wine are included, as are picnics on walking days!). The walks take you to high lookout points and through spectacular barranco gorges, with every day offering new and rewarding views for your efforts. You have a free day to explore the fascinating capital San Sebastian, where Christopher Columbus stayed as he flitted to and fro from the New World in the late 15th century, still full of traditional architecture and palm lined streets. It is a pleasure to return to the hotel each day for a swim in the pool with a view of the ocean. 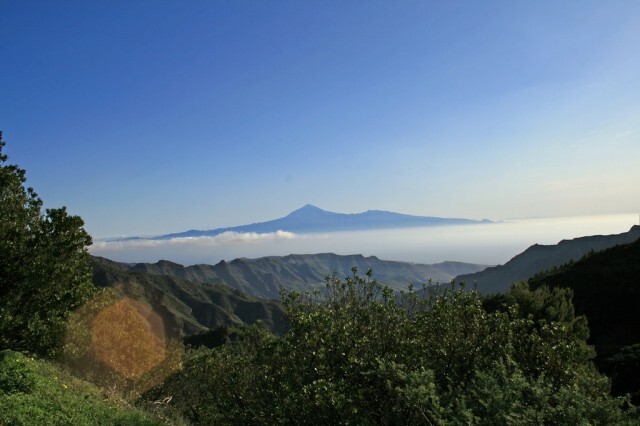 We have recently launched new guided walking dates for later this year, and look forward to welcoming you to this fabulous walking island for some genuine Canarian hospitality and exhilerating walking, just two aspects of La Gomera that make a holiday here so memorable.